Mother Teresa Women’s University is State University which was established in 1984 by the Tamil Nadu Act 15. Mother Teresa Women’s University is situated at Kodaikanal. 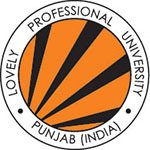 It provides admission in various courses of UG Courses- B.A, B.Sc, B.C.A, B.Ed., and PG Courses- M.Sc, M.Phil, Ph.D., MBA, M.Com etc. Here, through this content candidates will be able to know the detailed information of Mother Teresa Women’s University 2019 in which includes Application Form, Fees, Exam Dates, Eligibility Criteria, and How to apply. Those candidates who are interested to get admission in the UG & PG programs can fill the application form of Mother Teresa Women’s University Entrance Test. Submit the duly filled application form before the maturity date. Application form for Mother Teresa Women’s University will be available in offline mode. The Mother Teresa Women’s University 2019 application form will be available in April 2019. For all courses, the marks obtained in the qualifying examination will be the basis of the merit list. In the Application form, candidates have to fill all correct and complete details. After filling the required details, candidates need to make the payment of application fee. Candidates need to bring all the important documents such as acknowledgment slip, fee payment Chalan and print out of the application form for future reference. To select the candidates, the Tamil Nadu Government Reservation Rules will be followed. 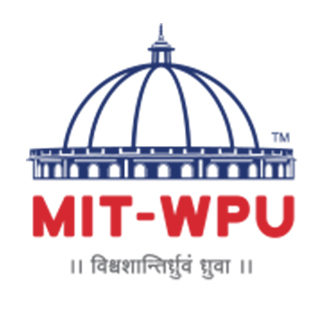 All the candidates who are planning to apply for admission in Mother Teresa Women’s University, applicant’s needs to meet the complete Mother Teresa Women’s University 2019 eligibility criteria. Candidates who fulfill all criteria of Mother Teresa Women’s University 2019 is eligible to apply. Before filling the application form, check your eligibility criteria mentioned below. 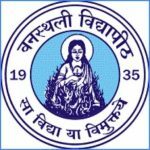 Candidates who are applying must check important events and tentative exam dates of Mother Teresa Women’s University 2019 exam. Exam dates like of Releases of Advertisement and Online application form Registration Dates etc. Here, University providing the tentative exam schedule for the Mother Teresa Women’s University entrance exam 2019. Interested candidates need to fill the Mother Teresa Women’s University 2019 application form avail on the official website. Download application from official website through online. Following are the procedure mentioned below for candidates to fill the application form of Mother Teresa Women’s University and they have to follow it. Application form can be obtained by sending a demand draft from STATE BANK OF INDIA, payable at Kodaikanal for the prescribed cost drawn in favor of “The Registrar, Mother Teresa Women’s University, Kodaikanal”. For SC/ST candidates, the application form will be issued at free of cost on producing the attested copy of the permanent community certificate. SEPARATE APPLICATION FORM HAS TO BE OBTAINED FOR EACH COURSE. The University will not be responsible for the POSTAL DELAY. The University will not hold itself responsible to communicate if the applicant does not fulfill the required eligibility. Fees once paid will not be refunded. The University reserves the right to suspend any course if the sufficient number of candidates are not available. The filled in application form along with Registration fee should be addressed to the Registrar, Mother Teresa Women’s University, Kodaikanal. Last date for receipt of filled in application form: 15 working days from the date of publication of +2 results Backward Class Government Free Hostel for Girls is also available for the limited number of students. (Ph: 04542-244116). If you have any other Questions related to Mother Teresa Women’s University 2019 Application Form, you may ask your Queries by commenting below.